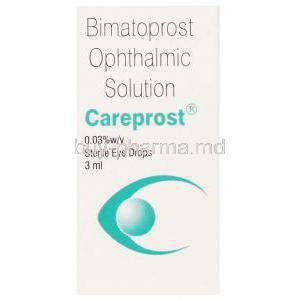 Careprost Ophthalmic Solution (Bimatoprost) improves the length, fullness, and darkness of eyelashes. 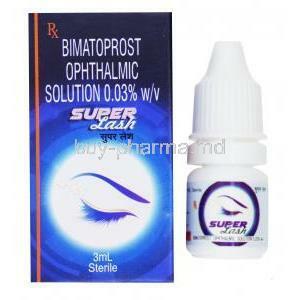 Bimatoprost is also used to alleviate intraocular pressure in individuals suffering from glaucoma or ocular hypertension. 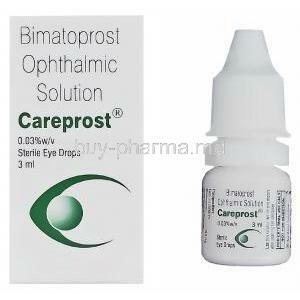 Careprost is used in the treatment of glaucoma. 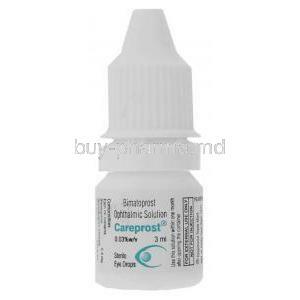 Careprost eye drops work by increasing the drainage of aqueous humor or the clear watery fluid filling the space in front of an eyeball. This helps to lower the pressure within the eye. 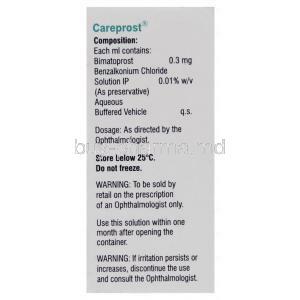 Careprost Ophthalmic Solution (Bimatoprost), a generic of Lumigan and Latisse, helps improve the length, fullness, and darkness of eyelashes. 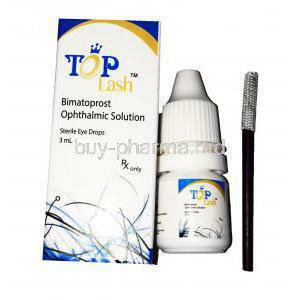 It is one of the most popular eyelash growth products available. 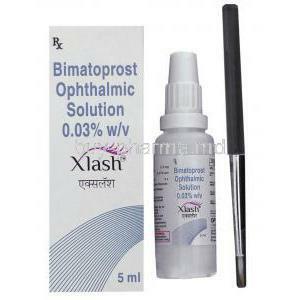 Bimatoprost is also used to alleviate intraocular pressure in individuals suffering from glaucoma or ocular hypertension. 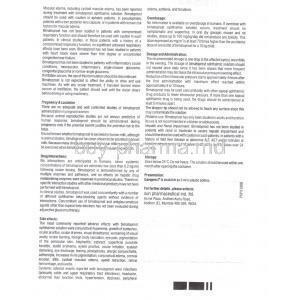 - Benzalkonium Chloride Solution IP (As Preservative), 0.01% w/v. - Aqueous Buffered Vehicle, q.s. 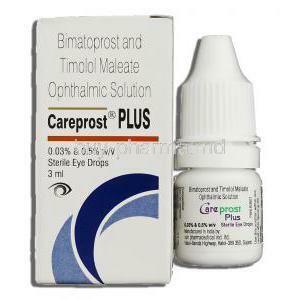 Careprost Ophthalmic Solution (Bimatoprost) is an agent that helps improve the length, fullness, and darkness of eyelashes. 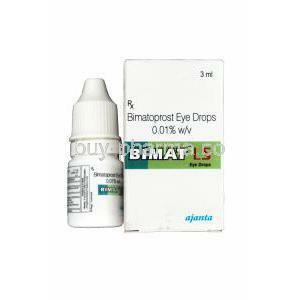 The active ingredient, Bimatoprost, is also often prescribed to alleviate intraocular pressure in individuals suffering from glaucoma or ocular hypertension. Elevated intraocular pressure may likely lead to glaucomatous field loss and the higher the level of pressure, the greater the probability of optic nerve damage as well as visual field loss. Bimatoprost helps lower intraocular pressure by regulating the amount of fluid that flows through both the trabecular meshwork and uveoscleral pathway. As aqueous production and drainage stabilize, pressure in the eye is reduced thus minimizing the risks associated with high intraocular pressure. For more measured and detailed dosage information as well as administration guidelines, please consult your physician or pharmacist and adhere to his/her orders. Generally, prior to applying Careprost Ophthalmic Solution (Bimatoprost), do ensure that the face is clean and contact lenses are removed. 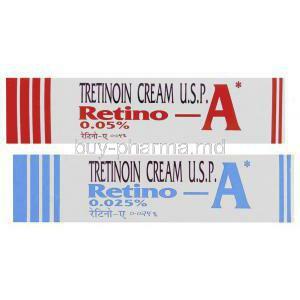 Once daily in the evening, place one drop of Careprost Ophthalmic Solution (Bimatoprost) on the tip of a sterile applicator or fine eyeliner brush and apply evenly along the skin of the upper eyelid margin at the base of the eyelashes only, moving from the inner part of the upper eyelid margin at the base of the eyelashes to the outer part. Remove any excess solution outside the application area with a tissue. DO NOT APPLY to the lower eyelash line. Careprost Ophthalmic Solution (Bimatoprost) should be applied regularly for 12 to 16 weeks to ensure optimal eyelash growth and preliminary results manifest within 8 weeks. 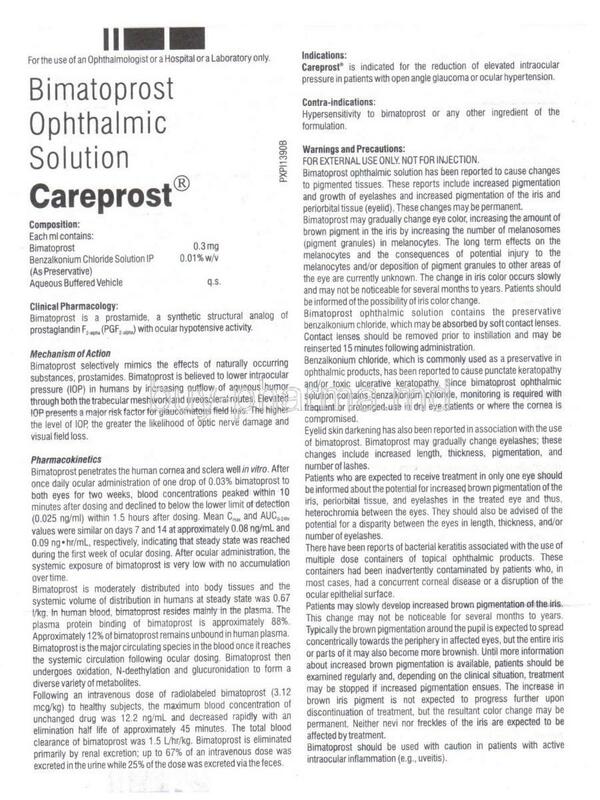 In case of a missed dose, DO NOT apply a double dose to make up for the missed dose; just apply Careprost Ophthalmic Solution (Bimatoprost) as usual the next evening. 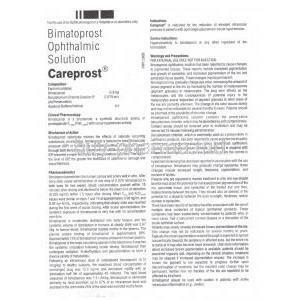 Extra applications of Careprost Ophthalmic Solution (Bimatoprost) will not increase eyelash growth. Once the treatment is stopped, eyelashes are expected to return to pretreatment conditions within a few weeks. Please discontinue use and consult your physician or pharmacist immediately if you experience any of the aforementioned side effects. 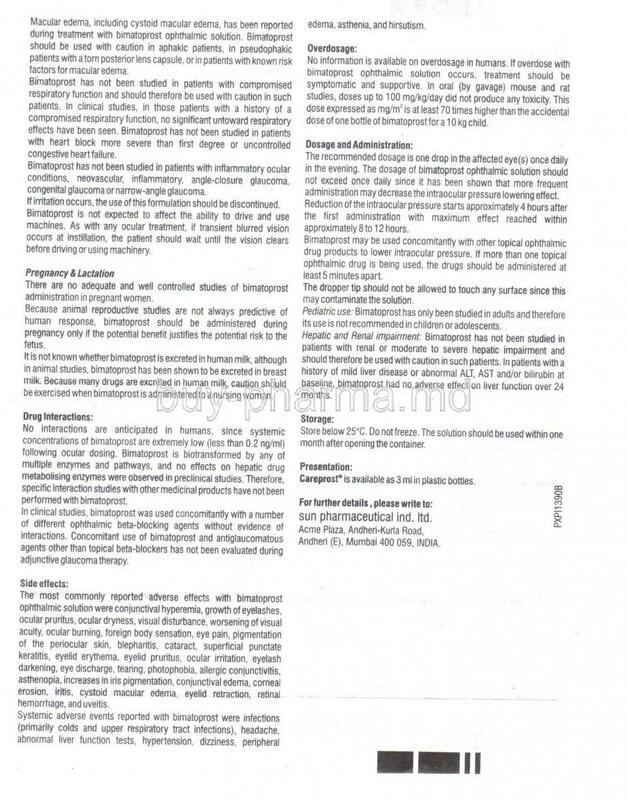 The above list of possible side effects is not exhaustive thus in the event that you encounter any other effects while using Careprost Ophthalmic Solution (Bimatoprost), please suspend use and get in touch with your physician or pharmacist as soon as possible. 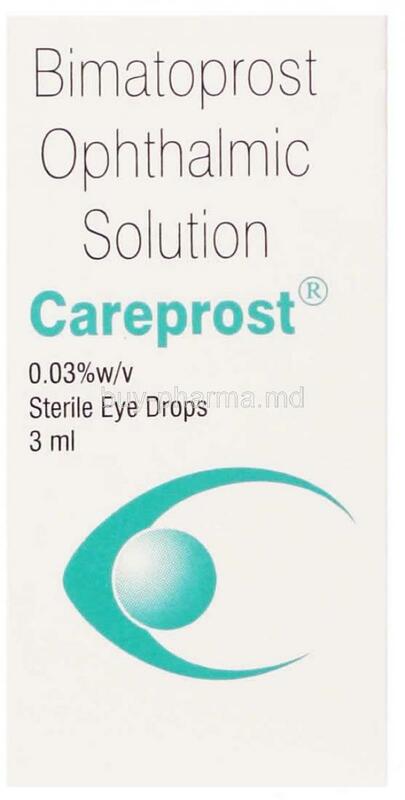 Careprost Ophthalmic Solution (Bimatoprost) should be kept in an environment between 2° to 25°C (36° to 77°F). Do not freeze. 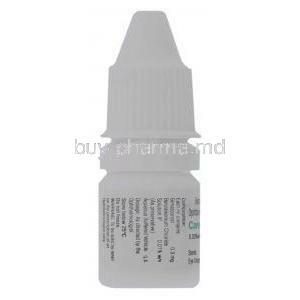 Careprost Ophthalmic Solution (Bimatoprost) should be used within one month after it is unsealed. Rated: 4.9 / 5 based on 88 customer reviews. 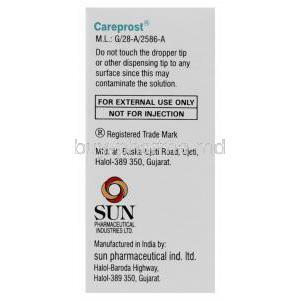 I've been using Careprost for a while and usually buying it from Buy Pharma. It DO works! Eyelashes grow longer and eye brows too. I usually apply it on my upper eyelids before going to bed every other night. Small goes long way. It lasts up to 4-5 months. The only thing I'm unhappy with is that shipping cost is too high. I've been using this product for my eyelashes. 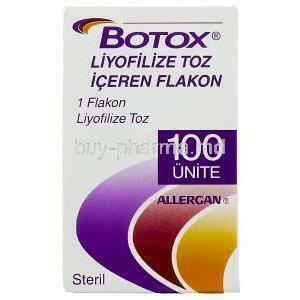 Works just as good as brand name latisse ,for the fraction of price. Verry happy that I can save money. I have been using this product for several months to lengthen my eyelashes. It's fantastic! Well worth the price. I have always had short lashes and they are now noticeably longer. I will absolutely continue using these drops. I don't experience any unpleasant side effects after brushing it on. I have ordered many times and always have a good experience. I’ve been using this for several years because it works. I’m older and my lashes are not what they used to be. Heck they were never as full and long. I can always calculate two weeks for shipping but that is not bad for international. Thank you for making this available. This works and so much less expensive than many other products! A fraction of the price of other lash serums. Results are noticable in about 2 weeks of use. 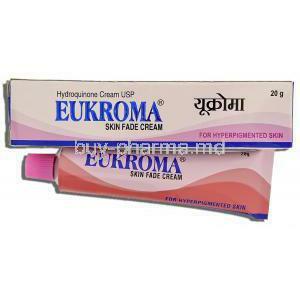 Effective product & well priced. I’ve been using the careprost for a few years now and it keeps my lashes long and thick Sometimes They nearly touch my brows I thank you Robert for making this available for ourchase. Careprost: Thanks so very much for making this wonderful product available at a reasonable price. I am going to re-order today! Excellent service and correct product. Your company is much appreciated. This product is so great for a great price. My eyelashes are so long because of it. The shipping is fast and the customer service is always terrific! I highly recommend the site and product. Purchased this so my eye lashes would grow and be longer. It seems to be working. Saw some improvement in length after a month. It is easy to use. Comes well packaged. Do buy the little brush for application. Makes it very easy to apply. 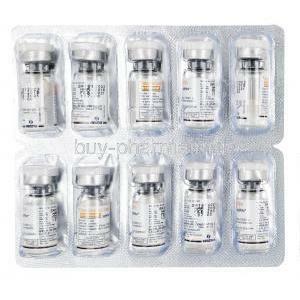 I've been ordering this Careprost for several years from Buy Pharma. I've always received my product before scheduled delivery date. Great service and best product!! Very happy with product and value. Thank you Buy Pharma has been very good to work with. I have been using Careprost for about 3 months. I already see a HUGE difference in my eyelashes. They are thicker, and much longer. Love it! Also, the company has fast shipping, and great customer service! 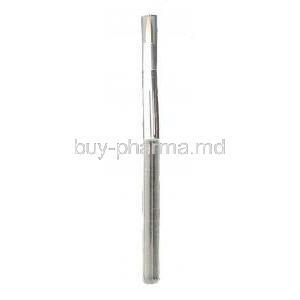 Great quality applicator. Works well. Picks up and distributes the Careprost in a nice, thin line. Use this for my lash serum, and applies just the right amount without waste. Lasts forever and cleans great. 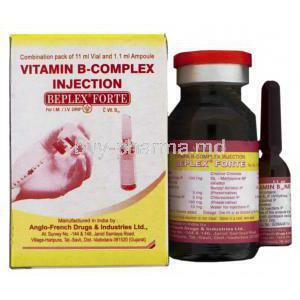 Have been getting this product for years now, and have had excellent results. Always great service and great prices. No problems or any side effects from using either. Am using only about every 5 days now for maintenance and still have long beautiful lashes. 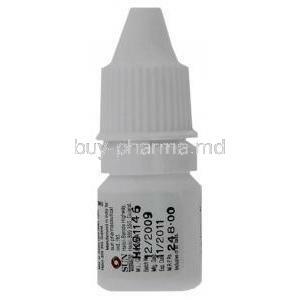 This is a generic bimatoprost, the IDENTICAL drug found to cause hypertrichosis when used for glaucoma. This drug has been repurposed for cosmetic use, to grow lashes. It is so effective that if you drop some on your cheek when applying it to your lashes (*and brows), you will grow a hair in that area a few weeks later. Use an eyeliner brush to apply the smallest amount to your upper and lower lash line and use the residual to fill in brows. You must use it daily for about 6 weeks to see results. Note that you will grow more and longer lashes, but you will not get to choose what they look like. Thus, they can be curly and curl back into your eye, they can grow slightly off-kilter and create unusual patterns by tangling with other lashes. Usually, a good coating of mascara will "iron" them out. Also, when you lose an eyelash, as we do, it will be longer and more sturdy, so if you are constantly shedding lashes into your eyes anyway, you will have to contend with lashes that can irritate your eyes pretty darn well. This is the real deal and it is a US product. Why pay $150 for 3 ml of the IDENTICAL product from a spa? That is just stupid. 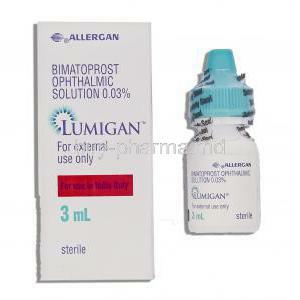 I have been purchasing my bimatoprost (which is Latisse) for 8 years and have never had an issue. works great! I have used it many years! 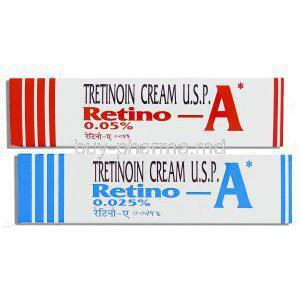 Product works well to strengthen eyelashes. I will be buying more when I run out. This product works. I have luscious long eye lashes and so can you! Trust me just buy it!